I’m slightly obsessed with soup. I mean really. Getting the soup monkey off my back with Corn Chowder at East Hampton Sandwich Co. While some women will go in the middle of the night for a preggo food fit, I’ll drive hours away to score the perfect bowl of soup. And compound that with my pregnancy there’s nothing stopping a good soup stop. At my OB/GYNO, there was this little cafe called Alonti and they served the most amazing “Italian Wedding Soup.” While not a traditional recipe, but one with chicken, cream and wonderful goodness. So much so, that when I was pregnant with my second, it continued to be a part of my routine: first go to the appointment and then followup up with a big cup of the soup. So I went to the internet to scour for the recipe, but I quickly discovered this was going to be like trying to find the formula for Coca-Cola. I did get close with the photo below from a blog called “Cookinginflipflops.com,” but unfortunately, the website doesn’t work anymore. I was able to find a photo and filed it on Pinterest in hopes to at least remember what it tasted like and maybe one day get a recipe. While this photo is from cookinginflipflops.com, the site seems to have bit the dust, but has the most hits and photo links back to the soup. Coincidence? I think not. Alonti’s not sharing. While that soup will continue to be on my list of must-find must-haves, there’s another “Italian” soup that makes me happy, especially when it’s cold and gloomy (like the best day ever for soup): Olive Garden’s Zuppa Toscano. With the ideal combination of greens, italian sausage, cream and spiciness, this soup is what makes their soup and salad lunch the best deal ever (for me, not them.) Again, through the magic of Pinterest, I also found a recipe for this stuff. Can’t wait to make it soon to see how close it is. Unfortunately, just because soup is liquid doesn’t always make it lowfat. (Have you checked out the fat count for the Tomato Basil Soup at La Madeleine? – don’t.) However, there are some soups that can help you do exactly that – lose weight. Which is particularly good when you’ve been eating either of the soups I’ve covered, you’ll need something to help you knock off that extra few pounds you’ll gain after bowl #10. And since it IS February, I’ve actually been divulging more HEALTHY soups.One of those you must look at is the Fat-Flush soup. 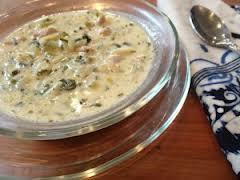 It’s a whole diet plan, but even if you don’t care about the fat flush part, it is a great winter soup recipe! And I don’t think talk about lowfat soups without including one of the biggest soup fads, the Cabbage Soup Diet. Again, I’m a little hesistant to eat anything consistently for 1 week, no matter how good it is. But you have to admit, it’s a keeper. After making up gallons of soup like the Cabbage Soup, you’ll be eating on it for days. 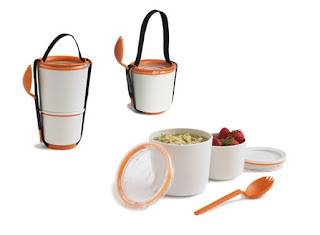 So I was uber excited to find the ideal accessory for a soup-obsessed fan like myself: The Lunch Pot by Black+Blum. It’s multifunctional and travel-handy with two bowls that come adjoined with its own little spoon. Also, if you just want to use one of the bowls, it can fit inside each other. It’s looks kinda like something IKEA would make and it sure is conveneient and works really well. And like all their stuff at Black & Blum, everything looks as though it belongs in an art gallery. Of course, with all this talk about soup, I’d be remissed to not bring up my favorite spring event, Empty Bowls, a soup fundraiser in Dallas and Fort Worth for the local food banks. It’s a must go, so learn why here! new product from one of the world’s top names in vaporizers. Georgina Dickinson of “News of the World” reported that Phelps was photographed smoking marijuana at the University of South Carolina in November.